Agnihotra is a process that uses healing fire to purify the surroundings. The fire is prepared through a specific process, which is performed twice a day – during the sunrise and the sunset. In other words, Agnihotra is a ‘vedic yagna’ or a ritual that is mentioned in the Vedas, which is followed by the class of “Nambudiri Brahmins” of Kerala in India. There has been a worldwide increase in awareness about the innumerable effects of Agnihotra homam in the recent past. 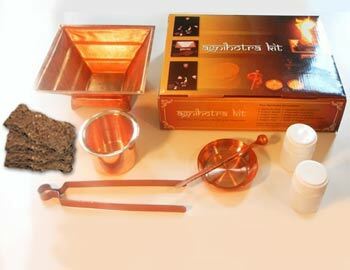 The procedure of Agnihotra incorporates preparation with Agnihotra kit a small fire using cakes of cow dung in a tiny copper pyramid of specific shape and size into which ghee and grains of rice are added during the sunrise and the sunset. 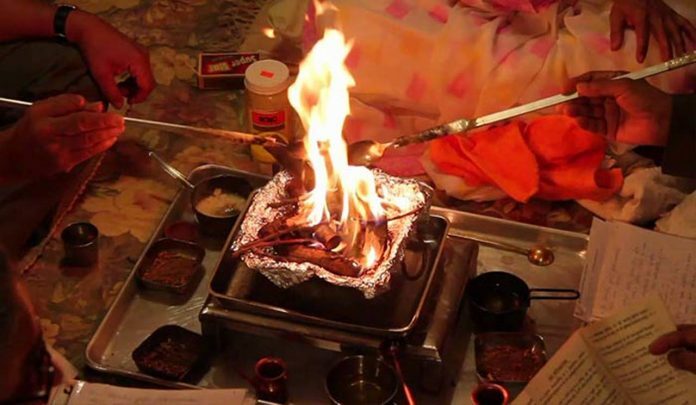 The significant part of the whole process is the two mantras that are chanted while adding the ghee and rice grains to the special fire, which is what is supposed to enhance the power of the process. The entire process is said to release tremendous energy in the surroundings. There is no restriction on who can or cannot perform the Agnihotra procedure. Anyone who has the desire to purify his or her home or surroundings, in addition to acquiring physical and psychological benefits, can choose to perform the process. There are hundreds and thousands around the world who have performed Agnihotra and enjoyed its holistic benefits including improvement in health, reduction of stress, clarity of mind, increased energy levels, and positive feelings of love and peace. However, the offerings are to be made only by one individual though it benefits everyone around. Anyone who wants to derive the most from the process can sit opposite to the one who performs it. If more than one person in a household wish to perform the Agnihotra procedure, they should perform it either individually – one by one, or simultaneously. The copper and its pyramid shape generate negative ions, which clear the air of various hazardous particles. Since cow dung is a natural and potential disinfectant, it reduces bacteria in the air and surroundings. Pure ghee is a natural detox agent. Since ghee does not alter in weight or properties when burnt under appropriate conditions, it dissolves the toxic contents in the air. Rice offers a balance of ying-yang effect and releases several ethereal oils during combustion, thereby setting off chemical reactions. The chanting of the Agnihotra mantra in Sanskrit during the sunrise and the sunset creates resonance in line with the biorhythm and activates special vibrations. According to Vedas, mantras have potential effect on every aspect of human life and surroundings. 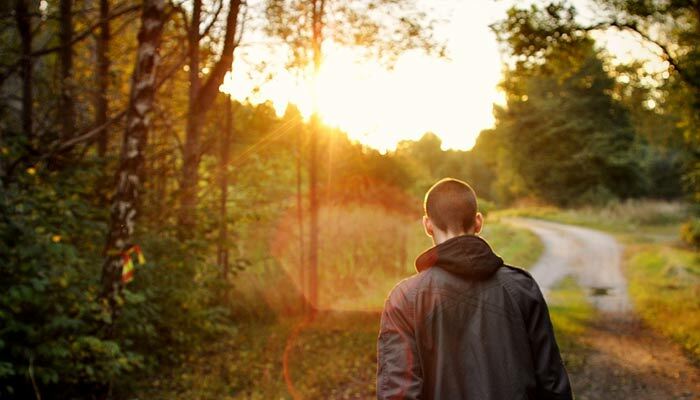 There are specific mantras that can act upon specific aspects of human life. Finally, the smoke from the homa binds harmful radiations in the air and neutralizes their radioactive effect. Thus the enormous energy released during Agnihotra is thrust into the atmosphere, which purifies and intensifies the ‘prana’ or life energy in the surroundings. The effects of Agni homam can reach up to 12km into the Biosphere. This gives nutrition to all forms of life including plants, humans and animals. Ignite the fire at the appropriate time (5 minutes before the sunrise/sunset). Take a few grains of unpolished rice in your left hand and apply a few drops of pure ghee to the rice and mix well. Divide the smeared rice into two portions. Immediately after you utter swaaha in the first mantra, take one portion of the rice (one pinch) and offer it to the fire. Similarly, after you utter swaaha in the second mantra, offer the remaining rice to the fire. Similar to the morning process, immediately on uttering swaaha both times, offer the two portions of rice mixture respectively to the fire. Sit in silence after you perform the process in the morning and/or evening. In effect, it provides holistic benefit to all life forms in the environment.